In recent posts, I have been talking about the Mobile SDK for Windows Apps and how to change Windows programs to use it. The problem is that I have not recently covered what is included in the SDK and where to download it from. The SDK can be installed on Windows 7, Windows 8. It was designed to make it easier for developers to build and test their applications before deploying them onto either XenApp or XenDesktop. 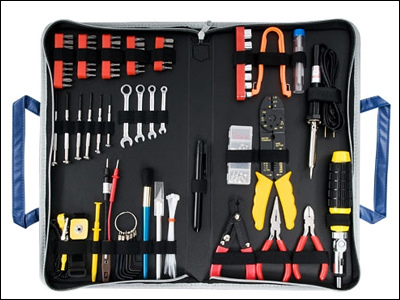 Inside the SDK, there are several types of tools. The most recent addition is the Emulator. When the emulator is active, the Windows environment will be able to support virtual features that usually are only available when connected to a mobile device. This reduces the complexity of building and testing applications. The emulator simulates not only the mobile device but also the server code that normally supports the application. For the most part, the emulator is transparent. It being there is usually all you need. 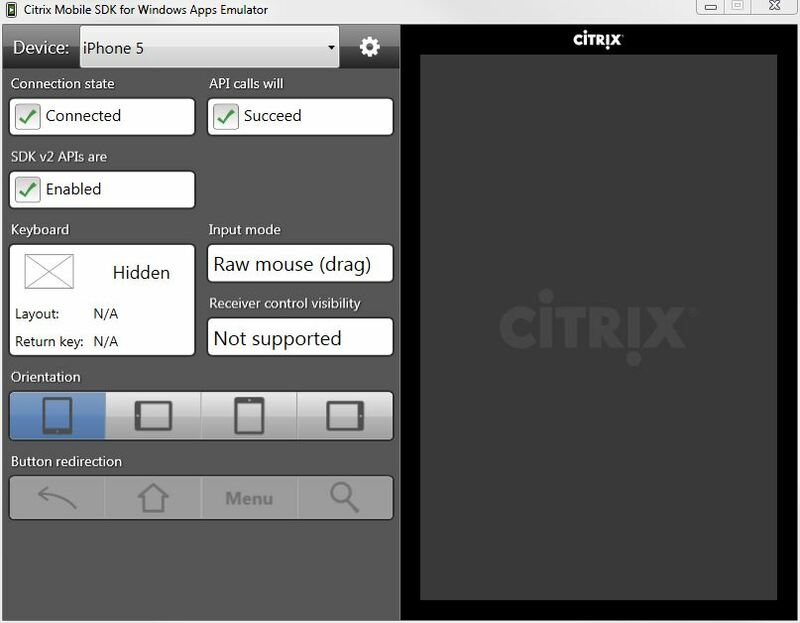 Once the SDK is installed, the emulator will automatically run an application uses the Mobile SDK for Windows Apps. This aspect is very useful because application execution guarantees that the right environment is present. The emulator does not need to be changed to get things going but it does have some features that make it very useful. The two aspects that I use the most is changing the device type and changing the orientation. Changing the device type allows for different form factors. In my case, I typically switch between iPhone and Galaxy Tab 10.1. By doing this switch between application execution, I can try the application in both phone and tablet layout. As for the orientation, it makes it easy to test both the portrait and landscape layout. All that needs to happen is pushing the orientation you want. The app will change size and layout based on this. Over the last few months I have been working on building a sample using WinForms. It became an exercise in using our own software and tools. The emulator allowed me to do most of the work on Windows 7. The iteration cycle was very fast and the results were immediate. It would have taken much longer to involve a mobile device and server. The most impressive aspect was how solid it has been. It is a tool that enables quicker development. It also means that it can be done without using a real mobile device. It is worth mentioning that the SDK includes samples that could form the basis of an application. Under the samples directory, the Demo.WPF and the XaAdminMobile applications are worth looking at in detail. Demo.WPF covers the feature set of the SDK. XaAdminMobile is a real tool which can be used to manage XenApp users. There is nothing wrong with taking these samples and modifying them for what you need. This is a quick summary of the SDK and hopefully there is something new here for you. I would recommend downloading it and giving it a try. There is no cost but you will need to have a Citrix web site login to get it. Good luck and thanks for your time.